Why would I need self storage in Midlothian, VA? There are a variety of reasons why you might need self-storage in Midlothian, VA.
How much is a storage unit in Midlothian, VA? The cheapest storage unit in Midlothian, VA is $40.00 per month. What size storage units do you have available in Midlothian, VA? In Midlothian, VA we have sizes that range from 5'x5' to 20'x20' to suit your storage needs. How much is it for a 5'x5' storage unit in Midlothian, VA? The cheapest 5'x5' storage unit in Midlothian, VA is $40.00 per month. Located in Chesterfield County, Midlothian is a thriving village just west of Richmond. It's considered a historical community, with many interesting buildings and landmarks to explore, but it also contains plenty of modern amenities. Midlothian has been ranked among the top suburbs in the nation, thanks to low crime and unemployment rates. Midlothian has grown to accommodate businesses in a variety of industries, from technology to health care. The village traces its history back to the 1700s, when it became the site of a small settlement of coal miners. A very successful coal industry was swiftly established, and coal was a major part of the local economy until the late 1800s. After that, with the new railroad providing easy transportation to the major city of Richmond, Midlothian evolved into a commuter town. It remained a small community for many decades, until significant growth began in the 1970s. Major residential expansion spread across Midlothian, but the village still managed to retain its small town feel and charming sense of personality. By the 21st century it had become one of the fastest growing communities in the region. Although Midlothian is a fairly small town, it still has plenty to offer. The area is rich in entertainment options, including the Firehouse Theater, the Thunderbolt Indoor Karting venue and the School of Rock. 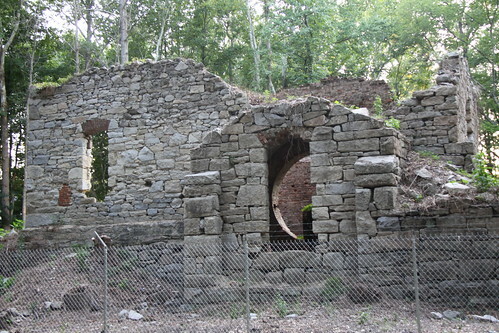 You might also want to tour the Midlothian Mines Parks, which will help you learn about the history of your new home. The local library offers a number of children's programs, as well as a large selection of books, magazines and other materials for check-out. Midlothian hosts many local events where you can meet new people and get to know your neighbors. The Midlothian Village Day Festival & Craft Fair has been a village tradition since the early 1980s, attracting visitors from many neighboring communities. It features games and kid-friendly activities, food, crafts, entertainment and more, as well as a parade. Chesterfield County Public Schools serves Midlothian students. The school system is known for high standardized test scores and award-winning staff. In addition to elementary, middle and high school campuses, the district operates many preschool programs throughout the area. Utilities: The county utilities department facilitates water and sewer services, while Dominion Energy serves as the primary energy provider. Garbage and Recycling: Most Midlothian residents receive trash and recycling services through private companies in the area. Transportation: Many transportation companies, both public and private, serve the Midlothian area. The county also offers paratransit services for disabled and senior citizens. You can find homes in Midlothian at any size and price point. From sprawling single-family residences with generous yards and vibrant neighborhoods to multi-family dwellings, you won't have to compromise. There's also a mix of historical properties and newer construction, so you should be able to find something to fit your style. The recent construction of Route 288 has greatly improved access to surrounding communities, and residential growth has continued largely undeterred since the early 1970s. Our lowest priced units in Midlothian, VA average $52.33 per month. 104 people have reserved units in Midlothian, VA in the past 30 days. There are 3 locations within Midlothian, VA's city limits. There are 3 locations in Midlothian, VA that offer AC and Heating features.